Donors can change their minds about the sectors they want to support or they can be affected by the economic climate and therefore cut back their commitments. 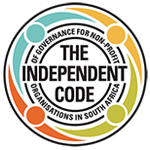 As good practice, therefore, organisations should have a range of donors from various sectors, including individuals, local private foundations, the corporate sector, and international foundations and agencies. Organisations need to assess how many donors they can service. Every time a new donor comes on board, this means more budgeting, more reporting and more donor stewardship. If an organisation has 100 donors, that probably means 100 proposals, many different budget formats, 100 thank you letters, 100 reports, 100 meetings etc. All are vital to considerations when multiple donors are on board. HOW THEN SHOULD FUNDS FROM MULTIPLE DONORS BE MANAGED? Systems have to be put in place so that donor-specific expenditure and financial reporting can be tracked and drawn up. It is important that an organisation’s own budgeting system is very clear about which funds come from which donor as many donors have their own budgeting formats which will differ from the non-profit organisation. When working with a number of donors, there are occasions when excess funds are granted for some line items while too little comes in for others. As part of building relationships with donors, negotiations may need to take place if certain allocations to line items need to be adjusted. Most donors would be willing to do this, but it must be raised and discussed with the donor first. Budget notes are also essential for management and staff as they begin to use the budgets and they are then able to go back and check what the rationale was for the line item, and on what basis costs were calculated. Look at the image below; think about what considerations you have to make when managing individual donors, corporate donors, international trusts and foundations?